Here's our collection of fun and easy shrimp recipes. All the shrimp recipes have step-by-step instructions. We hope you love them as much as we do! How to make EASY shrimp fajitas, this recipe will show you a fast, simple but super delicious recipe done in no time! 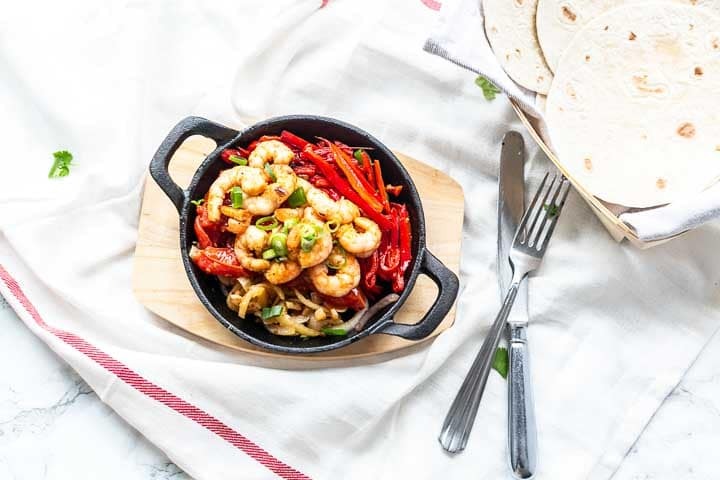 If you are looking for the best shrimp fajitas you can stop looking because this recipe is for you. 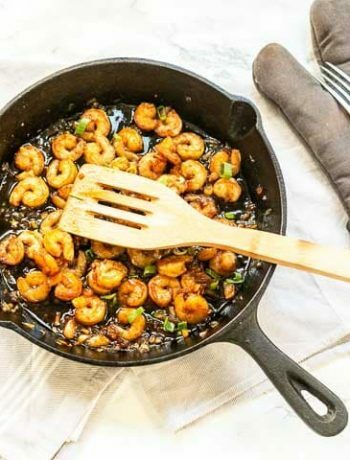 Soft shrimp seasoned with the most delicious homemade Mexican seasoning and cooked to perfection in a cast iron skillet. You will not find fajitas more tasty than these. So are you ready to learn how to make the best shrimp fajitas? Lets get started!